Jenkins was rescued from our local shelter. His previous owner was keeping him in her car, yup thats right, and letting him out periodically to go potty. Animal Control seized the dog and Pat Endsley answer the plea to foster him. He's a good boy! Piper was surrendered because her family had to make the heart breaking decision to release her because an immediate family member needed 24 hour care and was allergic to dogs. Piper's family loved her very much and we promised them we would take great care of her. 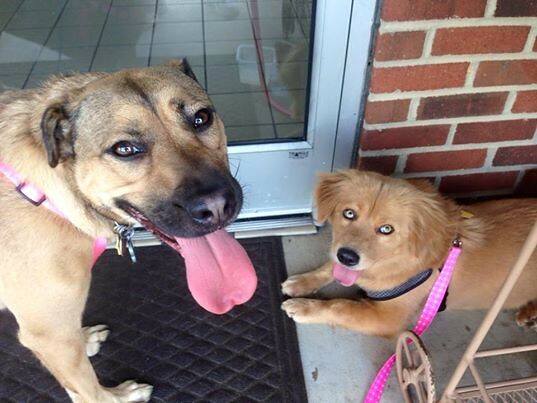 Conni Rippy stepped up to foster this special girl. Zoey was left in the after-hours kennel drop box with no information. She is a gem and we are so happy we could help her. Robyn Handy answered her call to for help. 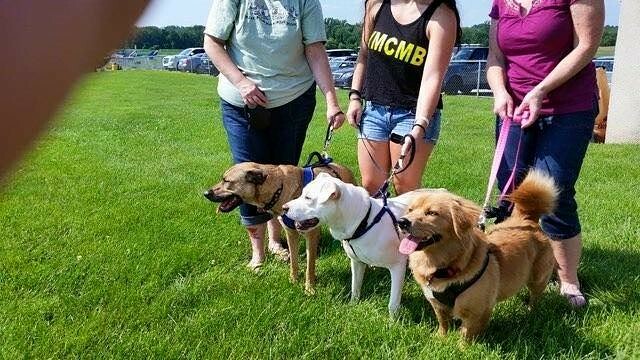 Thanks again for helping these furkids! 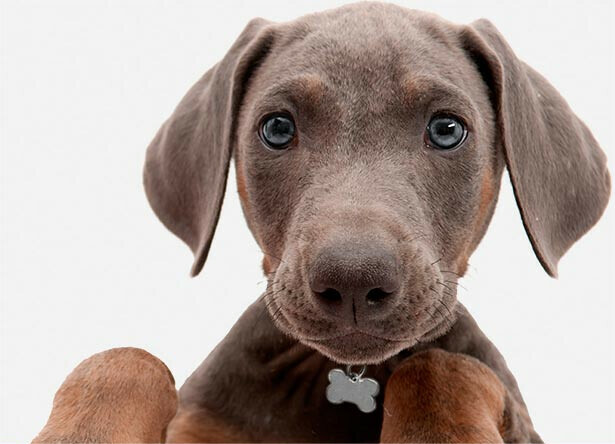 Chances Angel Rescue & Education, C.A.R.E. 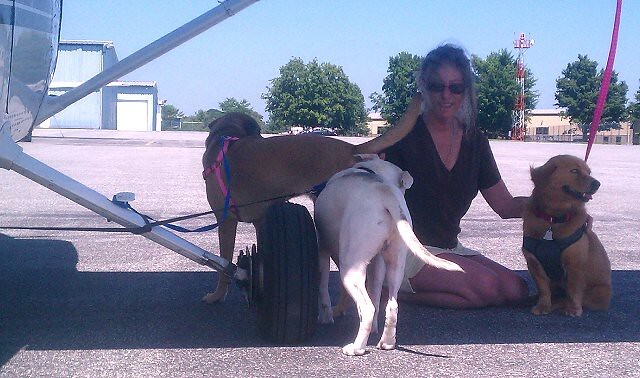 Air Mutt Muffs flew the now very familiar route to KTDF to meet three great dogs, Zoey, Jenkins and Piper. The foster families are the true heroes, opening their homes for a short time, but long enough to fall in love. Then they kiss them goodbye and take in another unwanted soul. 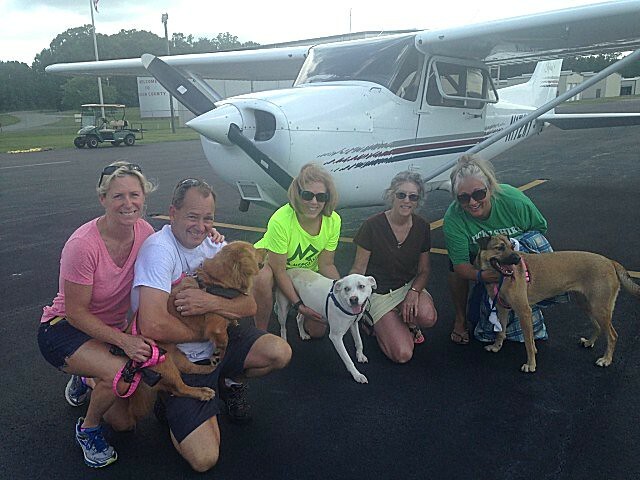 Leg 1 complete and we landed at KDMW, Westminster, MD. 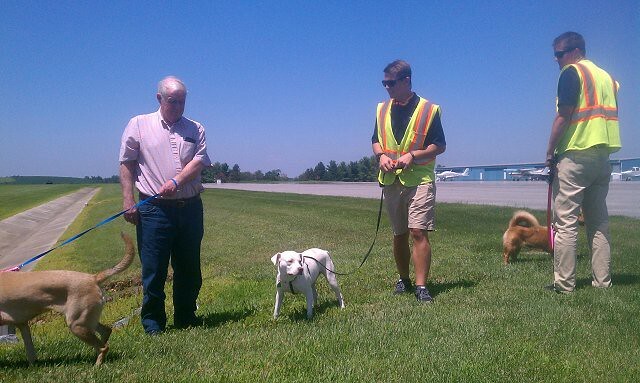 It was a really hot day, and everyone took cover in the shadow of the plane while we waited on Chris. 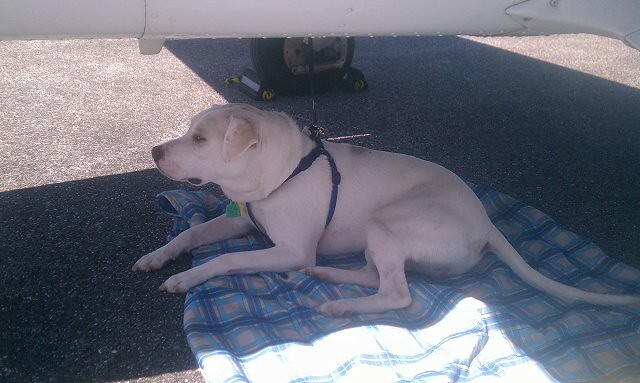 Jenkins does his best to stay cool under the plane. 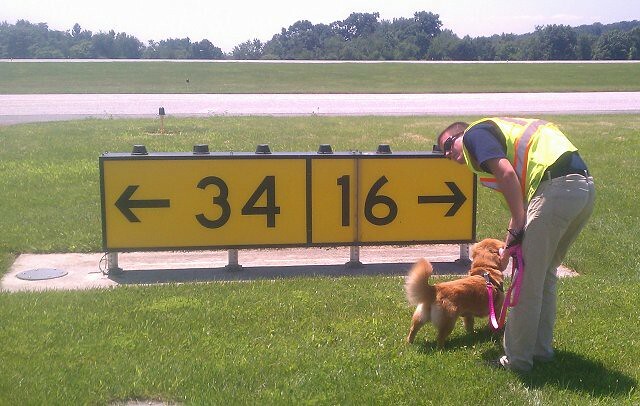 Lady Zoey inspects the airport signage. 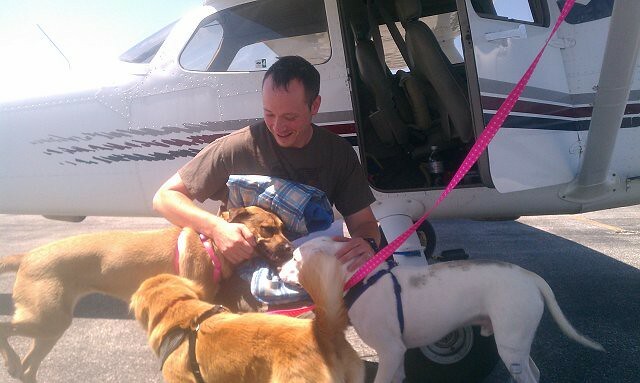 The last flight delivers all three fur balls to Philadlphia. Kind of looks like they're posing at an awards ceremony. But, the reality is they've won the doggy lotto. They have bright futures now and soon enough, they'll have families to call their own.